Summary: On the morning of June 1, Manager Li Jin and Manager Zhang of Jinan Light Truck Sales Department of China National Heavy Truck Group visited China Transport, and authorized China Transport as an agent to export light truck car dealerships of China National Heavy-duty Truck Group. 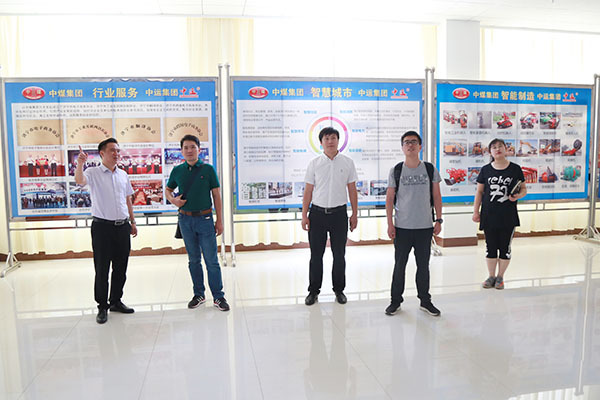 On the morning of June 1, Manager Li Jin and Manager Zhang of Jinan Light Truck Sales Department of China National Heavy Truck Group visited China Transport, and authorized China Transport as an agent to export light truck car dealerships of China National Heavy-duty Truck Group. Executive Deputy General Manager of China Transport, General Manager of Electricity Supplier Li Zhenbo, Deputy General Manager of The Group Lu Haiyong, and General Manager of The Group’S Cross-Border E-Commerce Business Zhang Wen accompanied the reception. 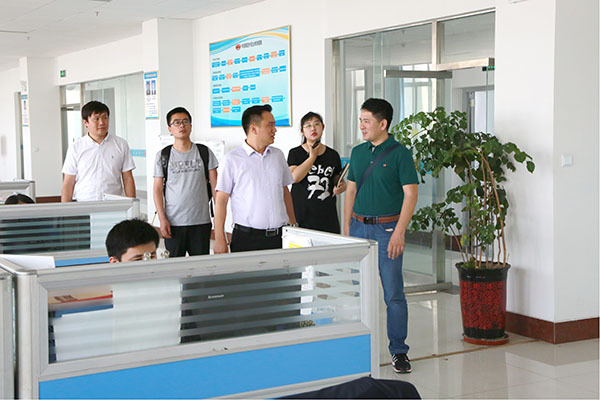 Manager Li and his party visited China Transport Corporate Culture Exhibition Hall, Smart Equipment Exhibition Hall, e-commerce company, cross-border e-commerce company, network information company, software technology company, etc. 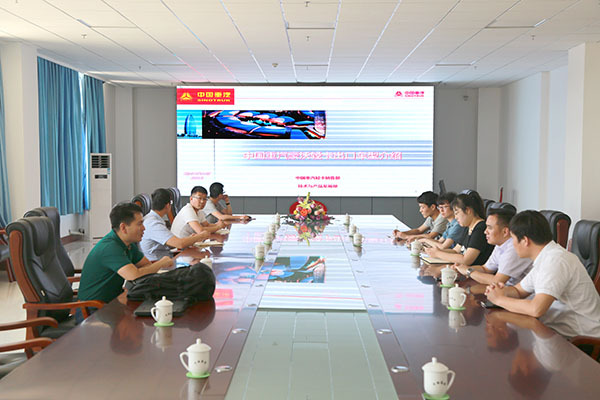 During the visit, Li Zeng introduced in detail the China Transport in e-commerce, Achievements in cross-border e-commerce, software development, smart equipment manufacturing, and electric merchant training, etc., and focused on the Group’s successful experience in cross-border e-commerce platform construction and product export. At the forum, Manager Li spoke highly of the Group's perfect cross-border e-commerce sales model. He said that China Transport has a strong cross-border e-commerce team and has rich experience in cross-border e-commerce development. It is worth learning from us and hopes to have the opportunity to strengthen cooperation with China Transport in the export of products and give full play to their respective fields. Resource advantages, to better promote the full cooperation between the two sides in product exports, cross-border e-commerce platform and other fields! Finally, the two parties reached an agreement through in-depth communication and negotiations, and officially authorized China National Coal Group as a light truck auto export agent of China National Heavy-duty Truck Group. Subsequently, Mr. Zhang conducted training on product and export automotive business processes for our sales staff. Mr. Li expressed that he was very grateful to Manager Li and the leaders of CNHTC Group for their high recognition of the development achievements of China Transport's cross-border e-commerce. 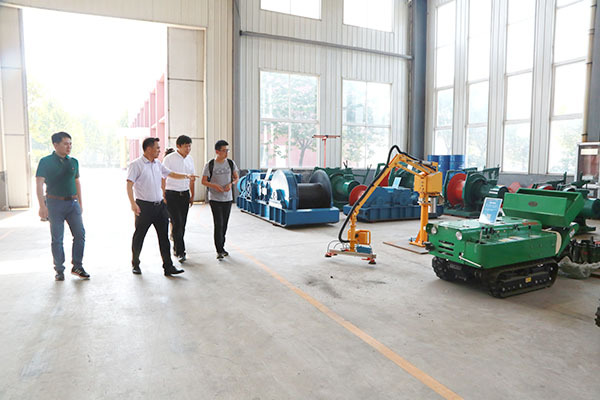 China National Coal Group is willing to unite with more industrial manufacturing companies to give full play to their respective resource advantages. Sharing resources, complementing each other's strengths, and combining strengths and strengths, with the goal of common development and long-term cooperation, accelerate the promotion of comprehensive cooperation between the two sides in the field of cross-border e-commerce and maximize the mutual development of both companies' development.